There are some weeks that the playlist just makes itself. The cream of the 2018 crop is really rising to the top as we enter the final quarter of the year. 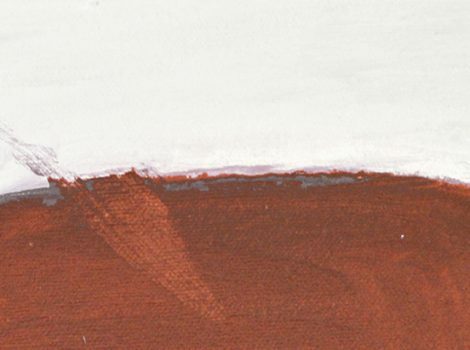 The calibre of songs being released by artists that I already know and love can make it super easy, but I have also included a couple of new artists this week that you should definitely discover! 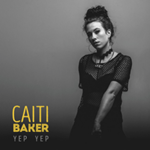 I am an unabashed fan of Caiti Baker’s music and am always excited to hear the direction she is heading. 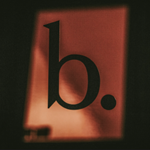 As she drip-feeds us the tracks from her companion EP to her album, Zinc, called B6, we start to hear a different direction; still utilising her father’s home guitar recordings, but incorporating more horns and a bit more of an R&B and electronic edge. Yep Yep is a jam and a half with the refrain, “I’m so bored, listening to you”, relating to the plethora of mansplaining that can occur in the music biz (or any biz, for that matter). Caiti heads out on a B6 tour very soon. Get front and centre, because her live show is something else. I was lucky enough to attend the listening party for Area Famous last week. 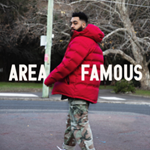 It’s the debut album from B Wise, one of the rappers leading the way out of Western Sydney. This track, The Code, was released on the eve of the album drop and it absolutely kills. With production from DOPAM!NE and a collab with Anfa Rose, another up and comer from Sydney, the vibe on this song is pretty dank, with a thick bass and sparse percussion, but it shows how far B Wise has come with his music. A rich tapestry of lyrics layers on top and you have a track that builds perfectly. Grab the album and thank me later. As one half of the duo leftprojects, Jono Graham is no stranger to making smooth beats. The hardworking and versatile guitarist and producer from Sydney has been heard and seen on albums from Spit Syndicate, Horrorshow, SOMA and worked with Turquoise Prince and many others. 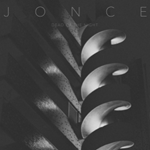 Now, in solo mode as JONCE, he releases his second up and coming track from his debut album. Dead of the Night is an eery bass-filled house track that you can imagine flowing through your body at 4:50am on the dancefloor. Something to keep you moving, keep you awake and push you through to sunrise. As I mentioned in my BIGSOUND wrap, there was a winner from the music conference. There was no bigger buzz than that surrounding Melbourne singer, Kaiit. 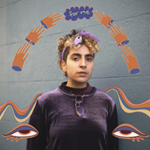 Perfectly on cue, she has released her full EP, Live From Her Room, featuring tracks we’ve heard over the last year including this absolutely perfect track, Duffman. Is it referencing the famous beer mascot from The Simpsons? It seems not. Instead it talks about living our best lives and working to accept who we are, how we are, without letting substances get in the way. 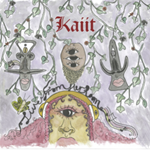 Also, this 3 minute jam is packed full of grooving bass lines, glistening keys along with Kaiit’s soaring voice over the top. The Kaiit train ain’t waiting for you, so get on now. 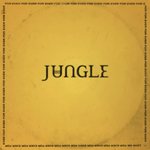 Four years after their debut album, English duo, JUNGLE, return with their follow-up and hot damn, this is one smoking-hot album. We got some tastes of this album earlier in the year, but now that For Ever has dropped we get the full story, a mix of funk, disco-grooves, warm, summer-fuelled bass and those falsetto vocal lines from Josh Lloyd Watson and Tom McFarland. This single, Beat 54 (All Good Now) is a personal tale of love lost, but after you listen to this, you’ll feel higher than ever. 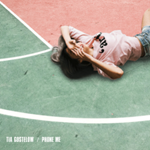 Following a slew of songs that have showed off Tia Gostelow’s skill at writing a well-packaged pop hit, including the beautiful Vague Utopia, we are treated to a brand-new track in Phone Me. This the final teaser before Gostelow drops her debut album, Thick Skin, this coming Friday. Filled with that warm-rich voice and shiny pop production, I am looking forward to even more from an artist that seems to be really growing into her sound with every track. I am hooked on Moaning Lisa. Having seen them live four times in the last couple of months, I am obsessed with their ability to sing sensitive harmonised lyrics over a banging rock beat and kick-arse guitar sound. This is the package of the Canberra four-piece. Two singers, Charlotte Versegi and Hayley Manwaring, that switch between bass and guitar, whilst lead guitarist, Ellen Chan, absolutely shreds and Hayden Fritzlaff drums hard. The persistent riff in Comfortable is important. It progresses the song from a soft, almost ballad-like state to a complete rock-out as the singer, Charlotte Versegi sings about being comfortable as a single person. Yup. Hooked. The unique voice of imbi the girl draws you in. The Sydney singer-songwriter has a way of singing, rapping, talking and mesmerising you with her delivery. Throw in a huge talent for creating quirky, but warm production, and you have something special. There’s a nice synergy in the inspiration behind Angel Face of a found, used canvas, covered with thick paint, that imbi hoped to smooth out and paint over. The result was a multi-layered textured piece that incorporated the old and the new. Layers of art that resulted in something new to be appreciated. imbi is the result of old and new and deserves your appreciation. 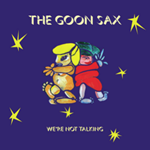 There’s a awkward charm about The Goon Sax that makes you smile. The trio from Brisbane make songs that feel carefree, simple and intrinsically Australian, whilst sort of stumbling around that same fact. Their second album, We’re Not Talking, was released last week, to little fanfare, but that’s because they let the music do the talking. Love Lost is an example of a song that says it how it is. About the simple things in life. “It’s hard to decide what to read,” sings Louise Forster (yes, from that family). Maybe it’s because the band are so young (very early 20s), but the lyrics still retain an innocence that will hopefully remain before they get too much more serious. On their debut single, breathe. ask the question, Are You All Good? It’s a well-timed question as we just ticked past R U OK Day, but more specifically the song is a smoothly delivered piece of sultry electronica from Sydney duo, Sean Walker and Andrew Grant. Both producers that have been working on their own music separately (“Movement” and “The Tapes”) and have combined with this new project and there’s the inklings of something exciting here in a very cool sort of way. Watch the accompanying video here and try and spot where the car is in Sydney.